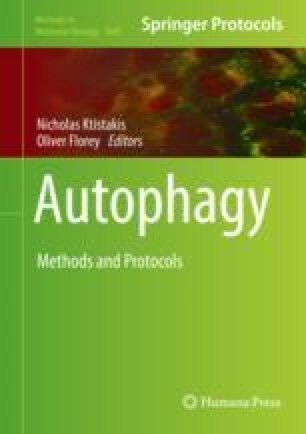 Autophagy is an essential degradative pathway that maintains neuronal homeostasis and prevents axon degeneration. However, the mechanisms of autophagy in neurons are only beginning to be understood. To address this fundamental gap in knowledge, we have established several key methodologies for live-cell imaging and quantitative analysis of autophagy in primary hippocampal neurons. Using these methods, we have defined compartment-specific dynamics of autophagy in real-time under basal versus stress conditions. For example, we have characterized autophagosome biogenesis in the distal axon and subsequent retrograde transport to the soma for degradation. Autophagosomes are also generated locally within the soma. In contrast to the axon, the majority of autophagosomes in dendrites are stationary, while some exhibit bidirectional movement. These studies establish an initial road map for autophagosome dynamics in each compartment of the neuron and set the stage for a more detailed understanding of neuronal autophagy in stress and disease. Audrey Dong and Vineet Vinay Kulkarni are co-first authors. This work was funded by NIH grants K99NS082619 and R00NS082619, the McCabe Fund Fellow Award, the University of Pennsylvania Alzheimer’s Disease Core Center, the Intellectual and Developmental Disabilities Research Center at the Children’s Hospital of Philadelphia and the University of Pennsylvania, and The Philadelphia Foundation to S.M.